Saved – Colinton’s Public Toilets. Today the City of Edinburgh Council published for consultation a list of “savings” it is considering after the Scottish Government proposed a substantial cut to its core funding. These proposals have been long awaited in Colinton after the Evening News published a “secret” plan to close the public toilets in the village. 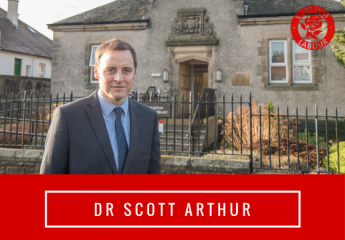 Behind the scenes and in public, I have made sure the views of local residents, Colinton Community Council and Colinton Amenity Association were heard on the issue. I am happy to report that I have been at least partly successful. To achieve a saving in 2019/20, it is proposed to reorganise staffing arrangements. This would move away from the 16 full time employees that maintain public toilets citywide and create a larger number of part-time contracts to deliver the service locally (the same model is used in schools). To develop an enhanced Community Toilet Scheme for the city. To investigate the options to improve public convenience provision as the current service is not consistent across the city. This will include reviewing all of the current facilities, understanding the issues/challenges with each facility (building fabric, maintenance, antisocial behaviour, and speaking to the people working at the facilities). In addition, alternative locations and options for providing public conveniences will be investigated. Following this, a feasibility assessment will be carried out on each facility alongside the options available to improve accessibility and quality. I have asked that groups representing vulnerable people and those with certain health conditions are consulted. The proposal to enhance the Community Toilet Scheme and the outcome of these investigations will be reported to Elected Members in autumn 2019, alongside recommendations for next steps. As Colinton’s public toilets are well used (not least by bus drivers), in a good state of repair (confirmed to me by the Council), have no crimes associated with them (confirmed to me by Police Scotland) and fully accessible, I fully expect their future will be secured in the review. Nonetheless, I would strongly suggest Ward 8 residents take part in the consultation and write to Gordon MacDoland MSP asking him not to back cuts to Edinburgh’s budget. ← FOI: Cllr Adam McVey, Derek MacKay MSP and the meetings that did not happen.